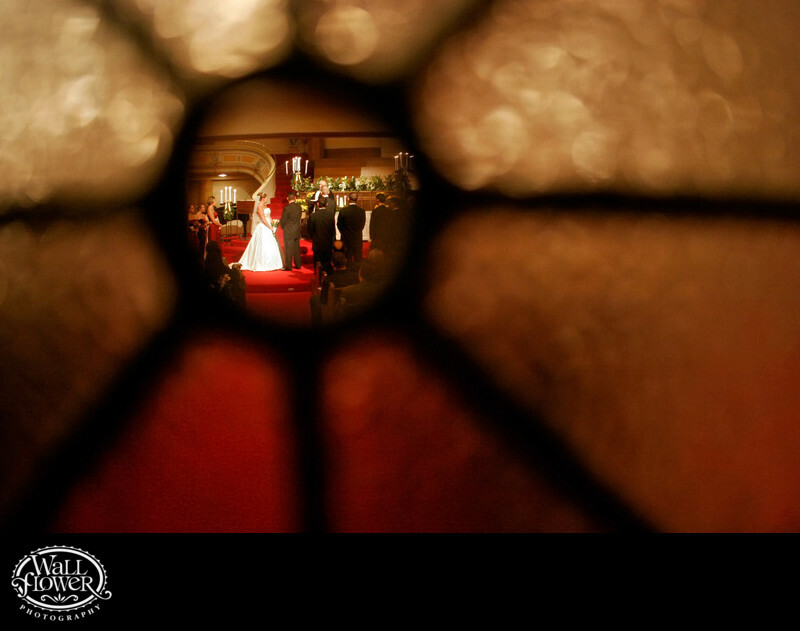 I shot this photo of a wedding ceremony in an architecturally interesting, historic church many years ago, and still like how I was able to frame the ceremony inside a tiny round clear section of one of the leaded windows in the doors leading from the church foyer to the sanctuary. The rest of the window's glass was textured and frosted, obscuring the view on the other side but picking up its colors. The dark lines of the circle and radiating out from it are lead that hold the individual glass panes together.